Sunday my brother, his fiancee and his 3 kids came over to my moms and chaos reined for the day! Unfortunately the weather was against us and so the kids were stuck in almost all of the day. Needless to say they were bouncing off the walls and driving us all nuts! 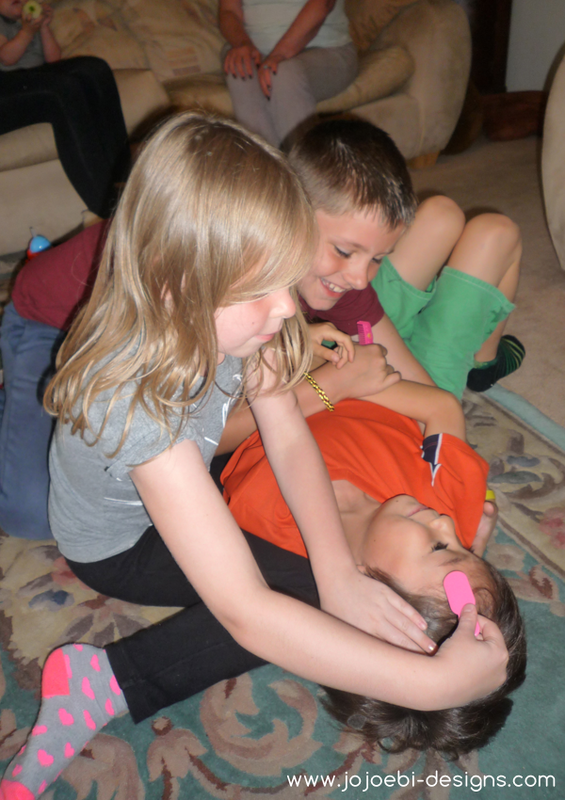 Activities included cousin torture ...getting your hair done! 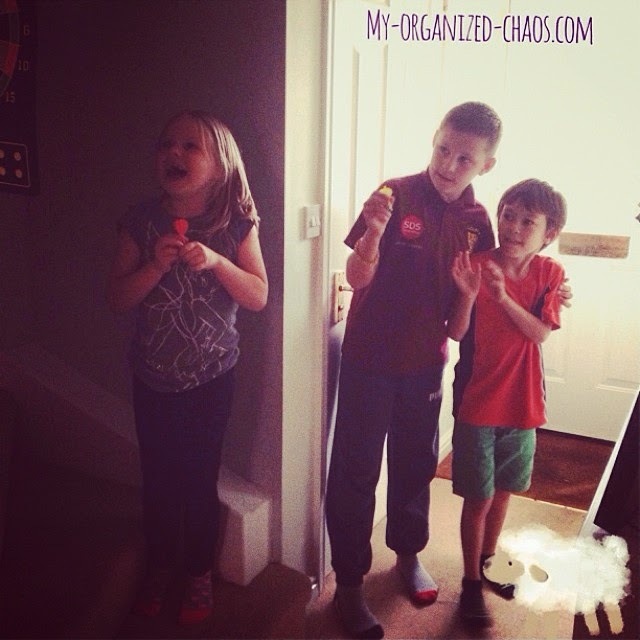 Silly darts, not sure what the rules were for this but there was a lot of silly giggling going on! Plus numerous rolling around, tackling and play fights! The quote of the day had to be from Ebi-kun who shouted to me... "Mommy, M has knocked my tooth out" In her defence the tooth was really loose anyway. 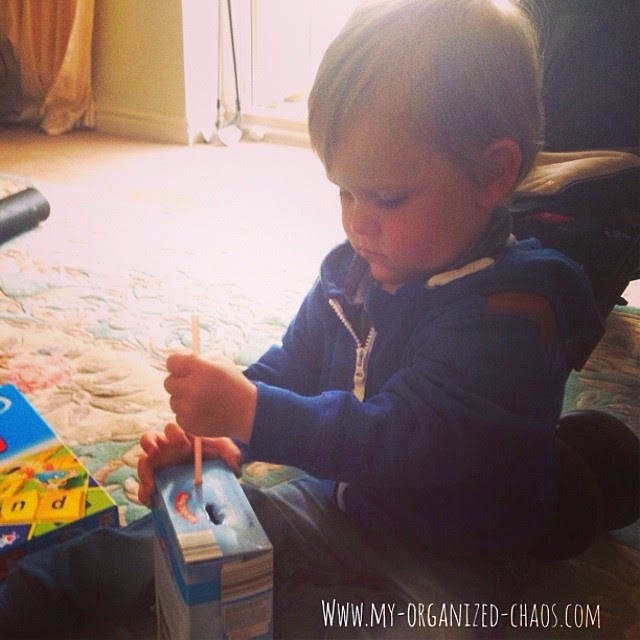 J is a darling, quiet as a mouse and was quite happy posting scrabble pieces and straws into a box or sorting things into piles, I love it when they are at this stage! 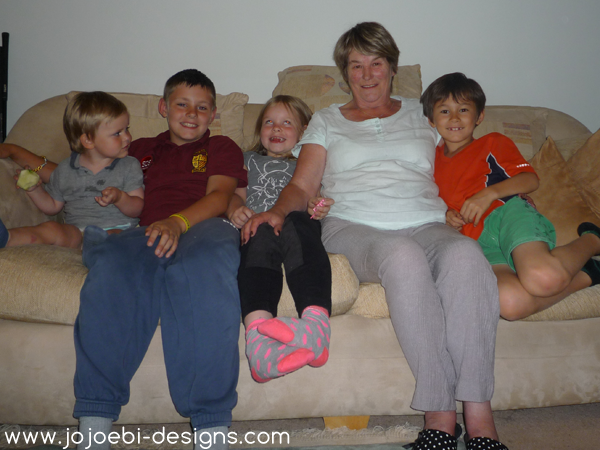 We had a lovely Sunday dinner and mom requested a photo with all the kids before they left, impossible to get all of them looking the right way at the same time and there is always one pulling a silly face! It's a shame the weather was so crap, it would have been fun if we could have taken them all down to the park or to the monkey park which was our initial plan.